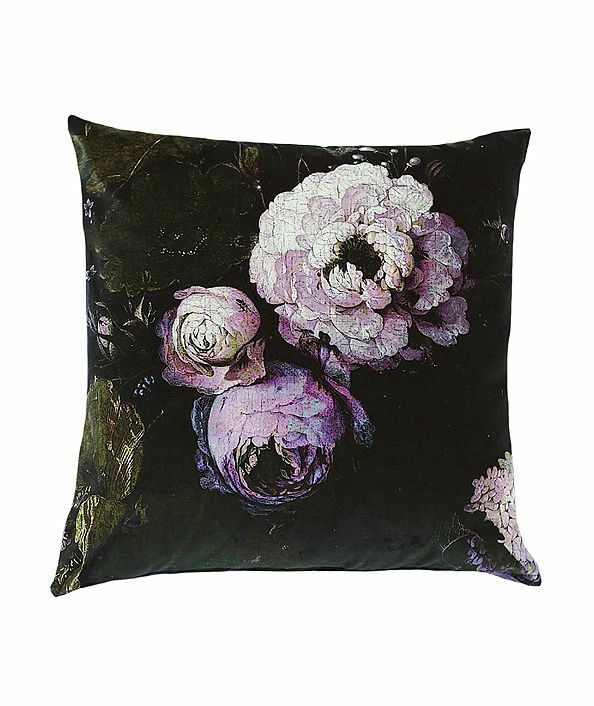 A range of collectable cushions from designers - Boho & Co - with sumptuous velvet prints of overblown peonies, flowing tulips and irises, interspersed with small flowers and grasses, a hommage to centuries of wonderful Dutch still-life paintings featuring urns overflowing with armfuls of flowers. 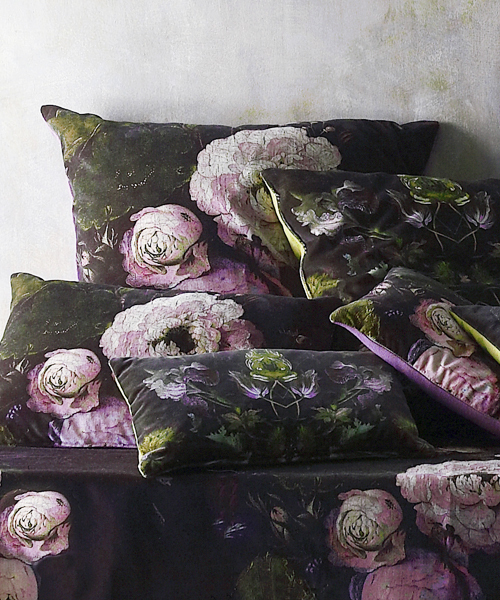 Oversize Peony 50 x 50 cm cushion backed with plain mulberry linen union. Feather pad.